Since the Trojan’s Trek program was commenced in SA in 2009 and in QLD in 2015, each participant attending is asked to complete four standard psycho-social instruments on three occasions. This data is later independently analysed to measure outcomes by the Gallipoli Medical Research Foundation in QLD for the QLD attenders, and by Flinders University staff in SA for those attenders. The reason for this is simply to ensure that the program remains relevant and beneficial to the participants. Very few peer support programs are subject to the same scrutiny. Naturally the board and the staff are also interested in the evaluations as it provides a scientific method to gauge success. 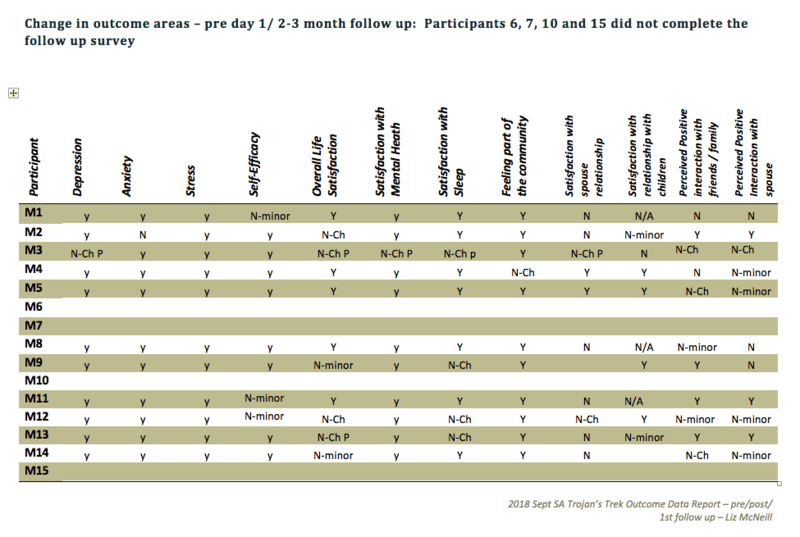 To date the results over 10 years have set new bench-marks for peer outdoor support. Following is a selection from the data analysis completed in SA for the 2018 trek. Note: The DASS 21 scores are a significant measure of individual risk as depression (one of the elements measured) is almost always present in suicide or attempts. 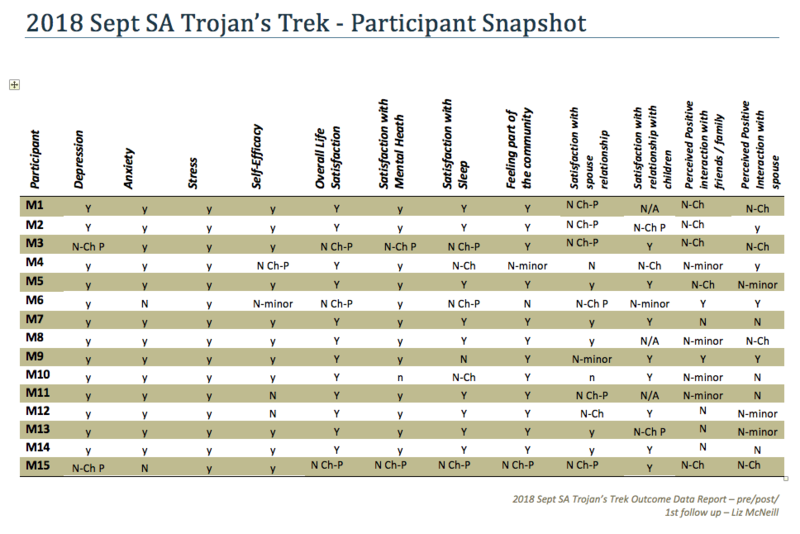 Feedback from Trojan's Trek, 2014.